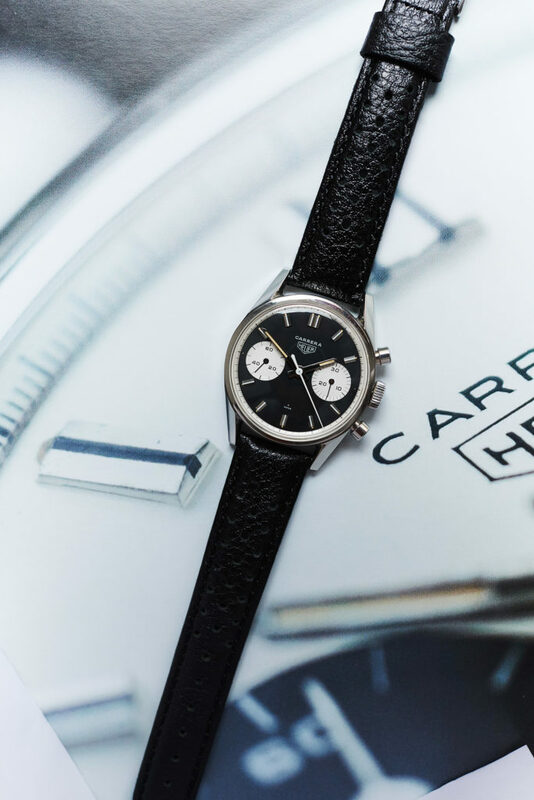 Carrera with inverted panda dial. 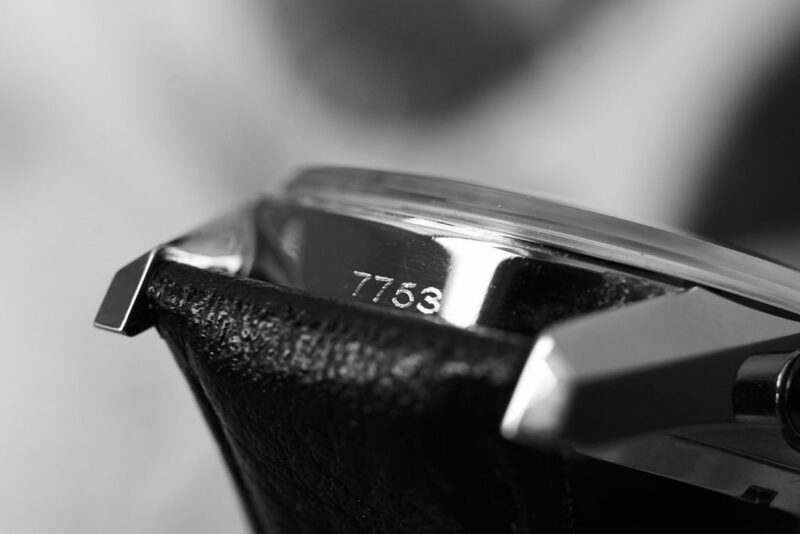 The unpolished case is even almost scratchfree and could not have been worn very often. 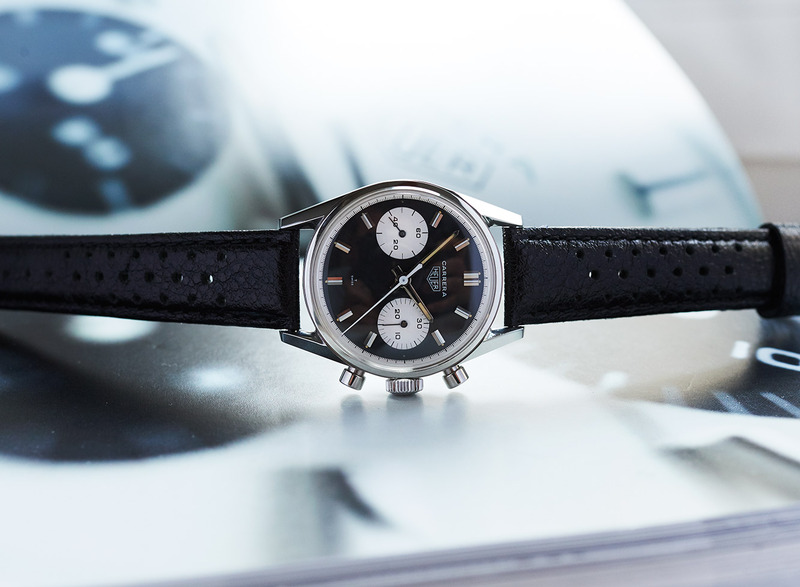 The condition of the Heuer Leonidas signed Valjoux 7730 looks mint to everyone even if he´s not an expert, running exactly and strong for sure. 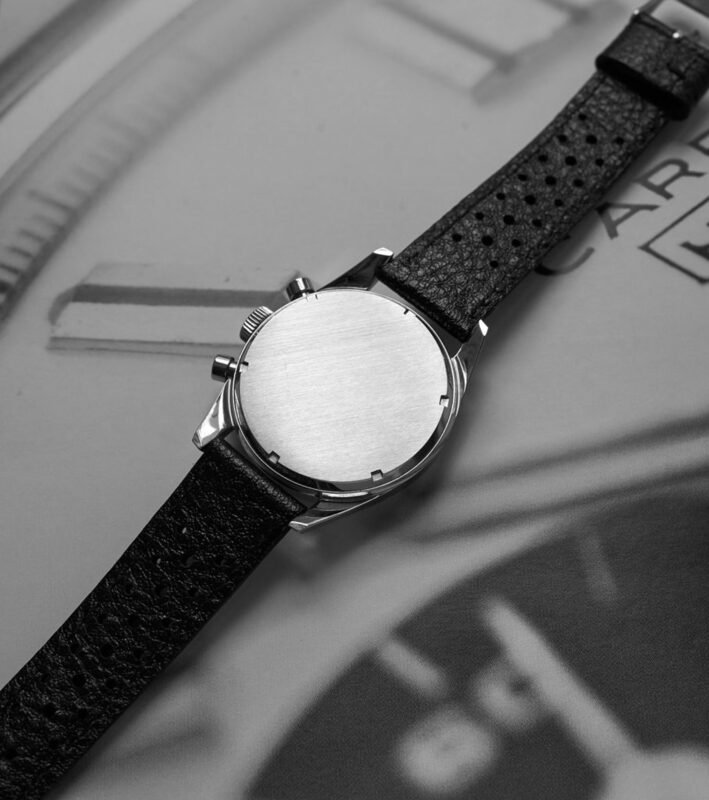 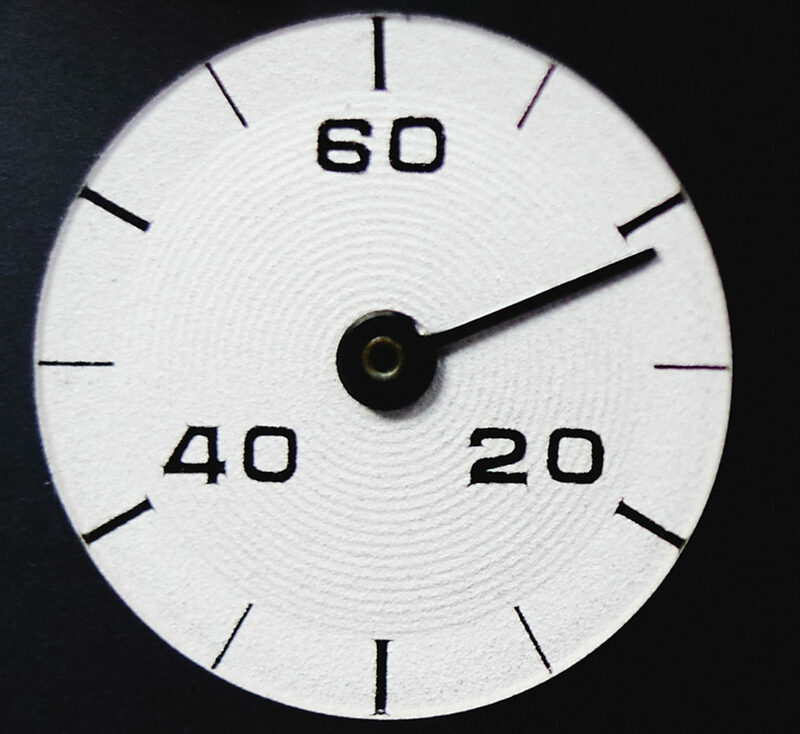 Besides all that the very best about this watch is the dial with it´s flawless black area and the cleanwhite subdials. 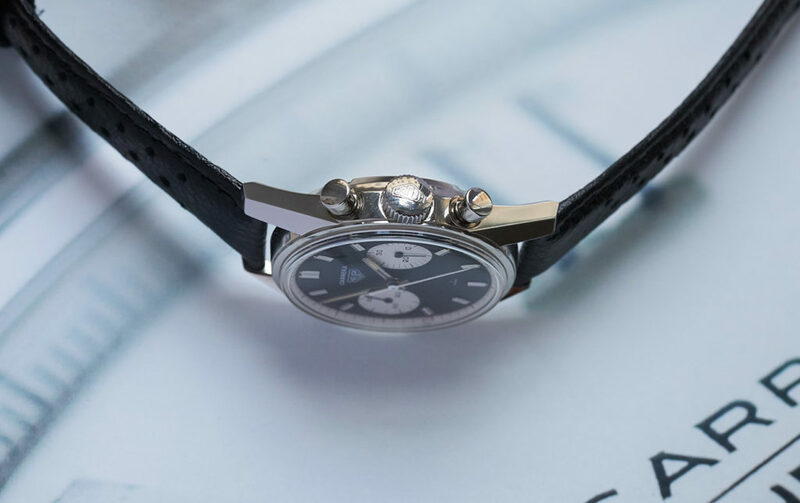 The beautiful cremecoloured tritium on dial and in hands is matching. 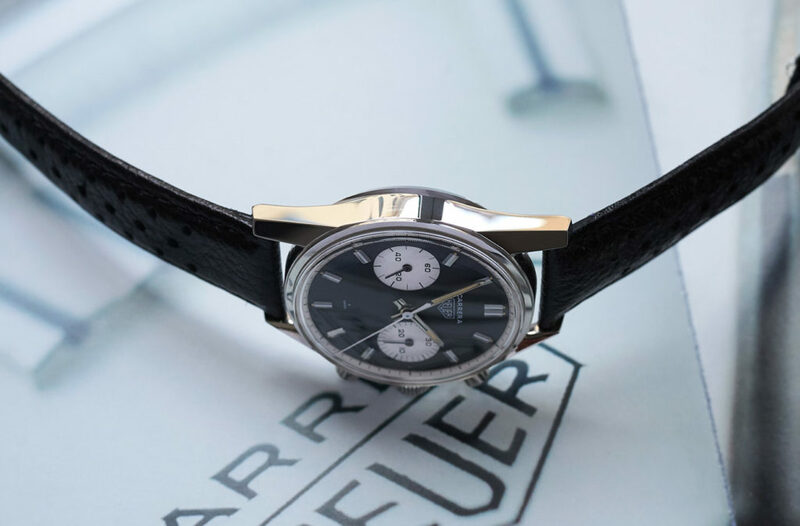 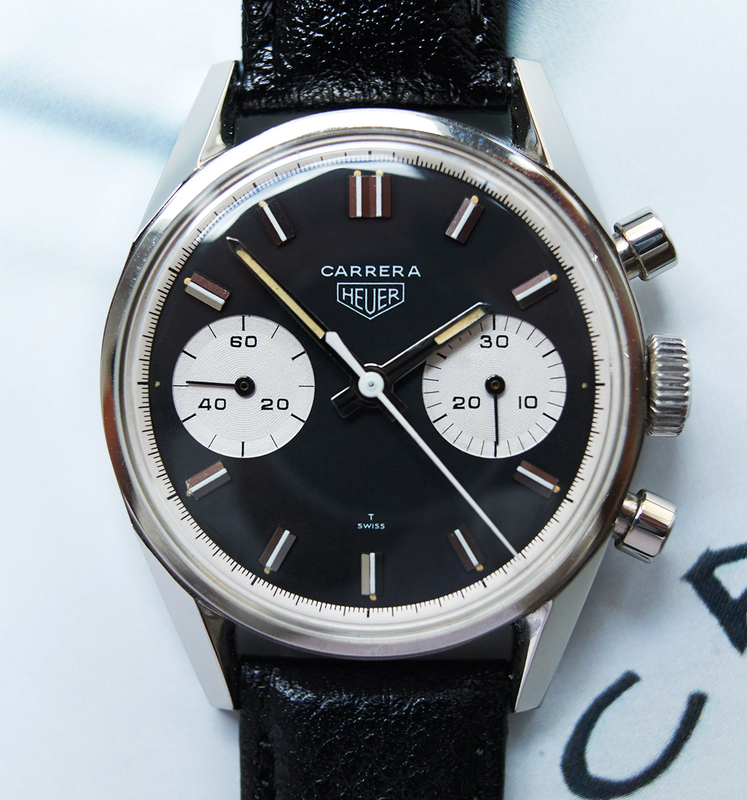 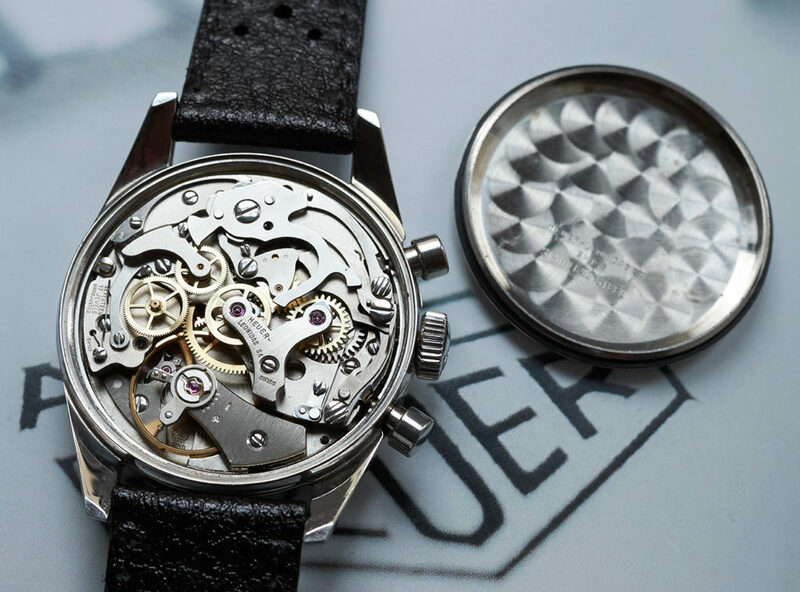 All parts on this example are the ones that left the Heuer factory in 1969/70. 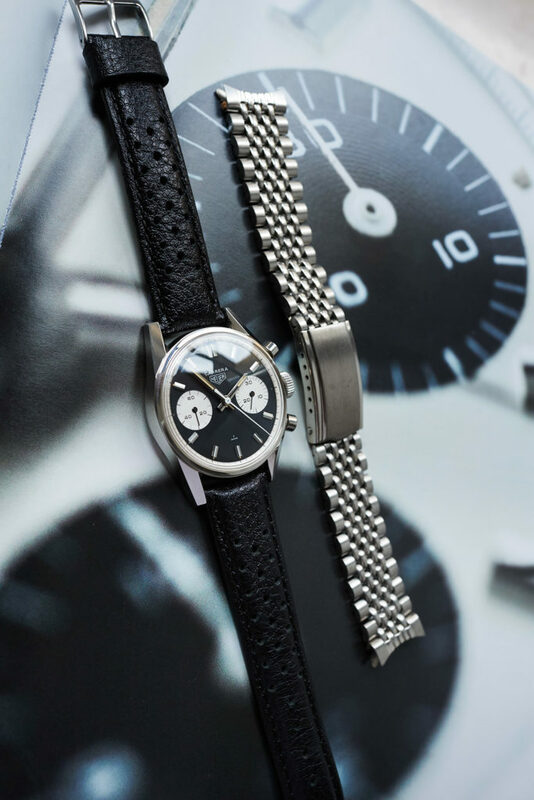 It comes on a black racingleatherstrap and in addition a perfectly fitting non Heuer steelbracelet.